Your dear ones are going to celebrate their 30th birthday and you are looking for the best ideas for their birthday celebrations. Here we have added the best 30th birthday party ideas for men and women. We are sure these ideas will surely keep them in high spirits for a long time. The woman in your life who could be a sister, a lover, or a daughter is turning 30 after conquering her 20s. 30 is an age for a woman where she just jumps into her mature side of life. A 30-year woman is most probably a wife, a mother of babies and many responsibilities on her shoulders. She is the one who never asks for anything, any demands and expectations and only believes in making other smiles. So it’s your duty to make her feel special on her birthday. DIY Birthday Cards: if she is an important part of life and never demands such materialistic things. The best idea can be that all family members can gift her self-made birthday cards and can show how much importance she keeps in their lives. Bake a cake: What could be better if her husband gets to indulge in baking a cake on her birthday. So DIY cake is the best gift for winning her heart. Plan a theme party: friends are the best creatures on the earth. They know the best and worst about you, so friends can offer a theme party inspired by her favorite TV shows. This could be a fantastic birthday party for her like you all can play characters as per the shows and can make lots of fun. Balloon Chandelier: parents can do for their daughter like string their favorite photos with their daughter since childhood to till now up to helium balloons to float her memories with you right over your guest’s heads. They will enjoy plucking timeless pics straight out of the air and make fun out of it. This is the best way to remind her importance in her parent’s lives. A man’s 30th birthday crosses the age between from a young man to an adult. A man gets more mature than his adulthood; more and more responsibilities come to his head. 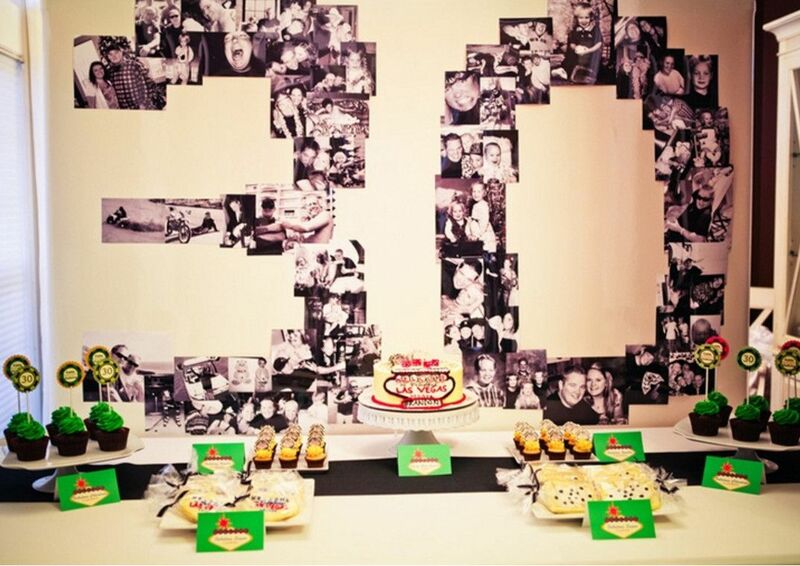 So 30 is the starting step of his life, which should be celebrated with lots of wildness. After turning 30 men don’t celebrate their birthdays instead of working late nights in the office. So we are giving you some ideas so that could bring a smile on their face. Goodie with all necessities: one of the best gifts for a man, turning his 30s, a gift with full of useful things. So that could be an awesome gift for a friend. Champagne bottles: A man always expects a champagne bottle as a gift on its birthday .so if you have a friend who is turning 30s; gifting champagne bottles are the best option. Wildest cake option: Unique cake design also plays an important part, if you are going to celebrate a man’s birthday. So friends always offer wildest or funniest cakes n their friend’s birthday. This can be a brilliant idea of celebrating a 30 older man. Gourmet and beer theme party: Men always mad about different types of food and drink. So if you are planning to throw a party for a 30th old man, so this could be a super idea. It is better to find a place where you could get these two. Make sure your friend or husband must have food and drink lover. DIY mini book: If that 30years older man is lover then nothing can be a better gift than a DIY mini book. On this book, you can write each and every thing about him. His little things which bring smile on your face. So this would be the best gift for him on its birthday. Room decorations: If your husband is turning 30, so a room decoration is the best surprise to give. So if you really want to give him the best gift on its birthday then decorate a room with his childhood memories along with your loving memories. Then see the real happiness on his face. This is the best gift a husband sees from his wife. Here are all given idea, which can be helpful if you are going to celebrate the day of your loved ones. Hey, I am from Delhi. I have been working as a feature writer for many blogs since last 3 years.